After a gap for few months I am back with my guest series. Today's guest is Anusha Joshi. When Anusha wrote a feedback for the first time on F and C's FB page, it was heartwarming to read her comment "had tried making them so many times but never came up with good results... this time they have come really nice spongy and soft... I think your recipes are lucky for me :) " ... This was about the rasgullas, she had tried preparing following the recipe here. Since the inception of Flavors and Colors, she has been supportive trying different recipes and providing me with her genuine feedback. Though initially it was virtual acquaintance, later I got to know that she knew me even before Flavors and Colors ! It was actually a friend of my hubby who is related to Anusha and there we got connected. I am happy to have found a friend in her who is a mom to an infant now. What I appreciate in her is her enthusiasm and her own creative touch to different recipes. 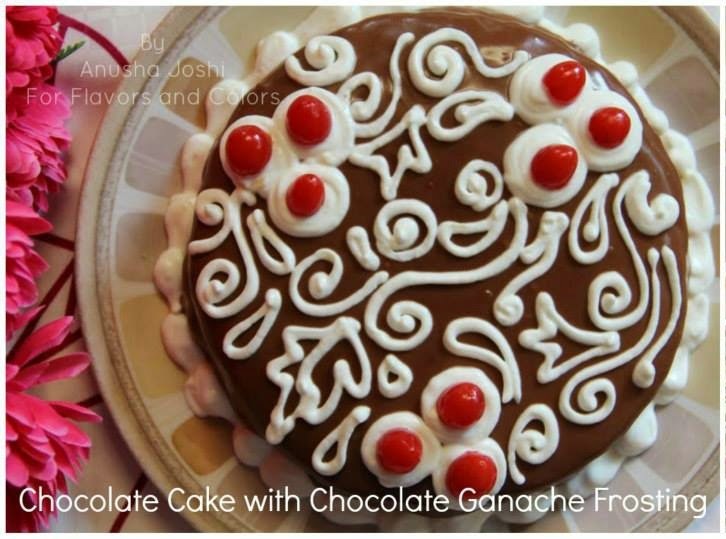 Check the below photo [chocolate cake with ganache prepared by her] and you will be left drooling, thinking how you can grab that plate. Hello foodies, I am Anusha and love cooking ! My cooking hobby started after I got married and my cooking inspiration is none other than Aparna akka. Her clicks made me crazy about cooking and photography. Getting to share the below recipe in her blog is like an honor for me and I would like to thank her for giving me this opportunity. 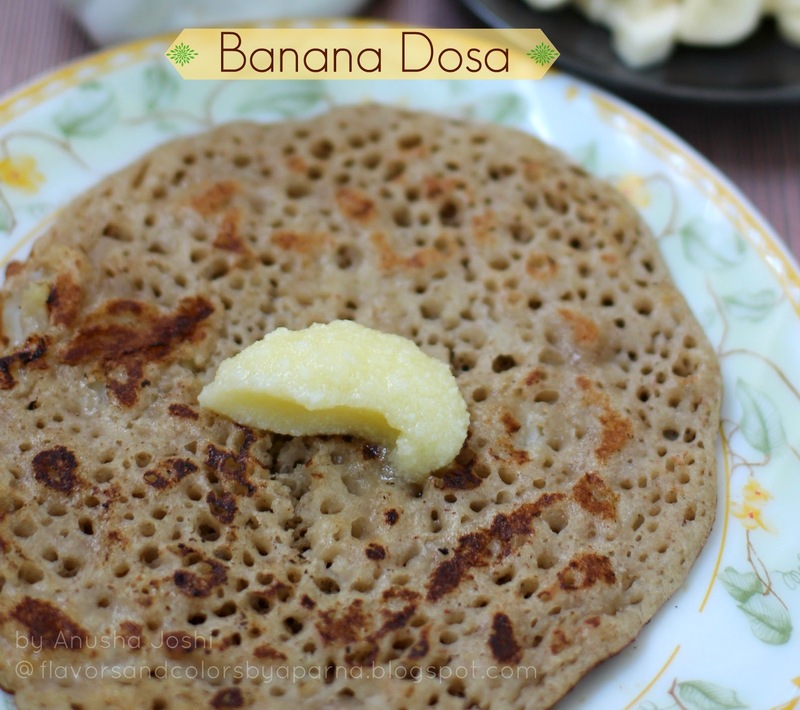 The recipe is for a sweet dosa [my favourite ;)], which you can have at breakfast or can be a great idea to pack in lunch box. 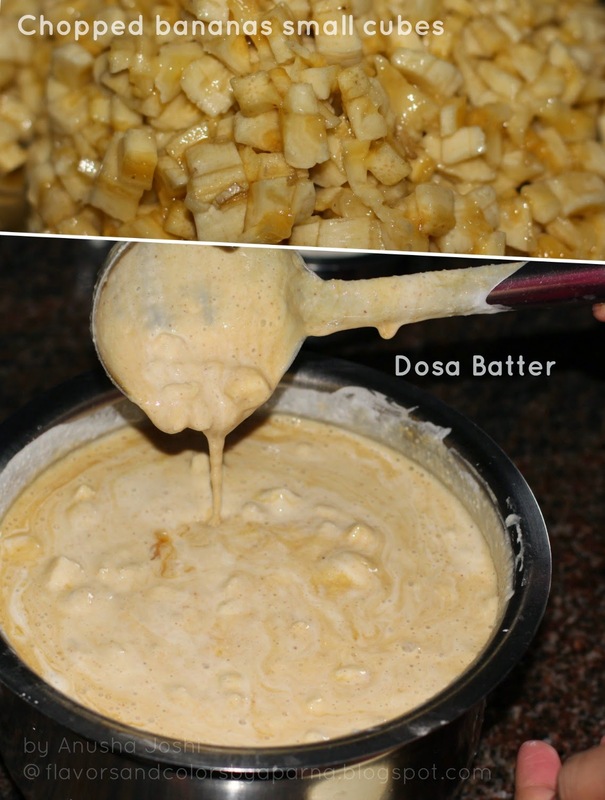 Soak dosa rice for about 4-5 hours, Grind it with 4-5 whole bananas and very little water. Keep it overnight so that it goes through fermentation. Next morning add salt, jaggery and beat it for a minute. Add freshly chopped bananas and add water as required to adjust the batter to right consistency. Mix it well. Heat the non stick dosa pan. Take a laddle full of batter, spread it lightly on the hot pan and cover it with lid. Drizzle ghee and fry both sides till golden brown. Serve them hot with ghee or non spicy coconut chuney. 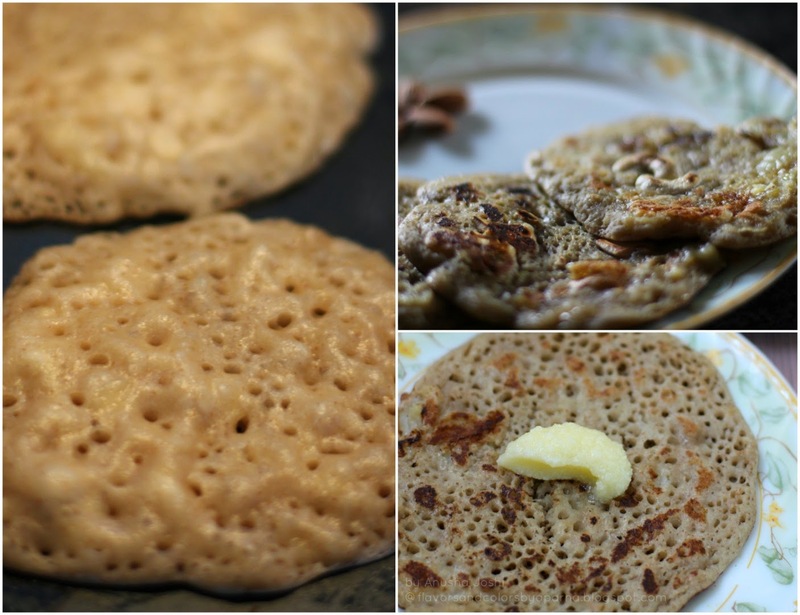 Hope you try this recipe and love these dosas. Waiting to know your feedback. Thanks ! So dear friends do try the above recipe and leave ur feedback!